Sign up for Broadjam today to follow Jessi Lynn, and be notified when they upload new stuff or update their news! Jessi Lynn took her band to The Dry Bean, May 11, 2007 to record this "live" Cd. This is an acoustic album that has received rave reviews all across this country and others. 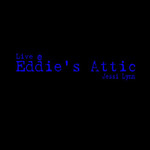 This is an 11 song Cd, written, recorded & produced by Jessi Lynn & Sarah Peacock. 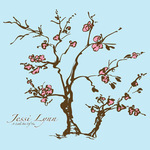 It is as organic of a sound that Jessi Lynn has recorded thus far and with the musical talents of Sarah Peacock, this Cd has quickly become a fan favorite (for both artists). Putting your life back together, all the new things that you have to do in order to move on and find a new life without them. Going through a breakup, learning to put the pieces back together... in California. falling in love with every detail, the way you walk, the way you talk, etc... "If you don't stop lookin' like that I think I'm gonna have to crash Head first into your smile" Enough said. Going on a date... possibly the first date since a long and hard breakup. A woman who's hard to get. Hard to pin down. Hard to get to. Life of the party and no interest in settling down. Taking the chance of love, finally deciding that it's time to just do it. Giving up on a love gone wrong. Giving too much and finally saying "i'm done", "I'm moving on".... sad. Two lovers need to get away, so they plan a trip to the ocean to reconnect and just be. I wrote this about two friends who really needed some alone time.